The first edition of the “Ballet” magazine (first called “Soviet ballet”) was released in 1981. Since that time, readers have received more than 120 issues. For fifteen years its editor in chief was the star of the Russian ballet Raisa Struchkova. 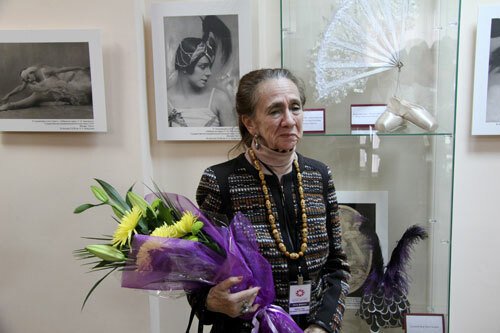 Currently it is run by a renowned ballet critic and historian Valeria Uralskaya. On the pages of the magazine you can find various articles about ballet and its creators: composers, choreographers, artists, dancers; about ballets – the old ones that have become the classical heritage, and the new ones that are just starting to live on the stage. 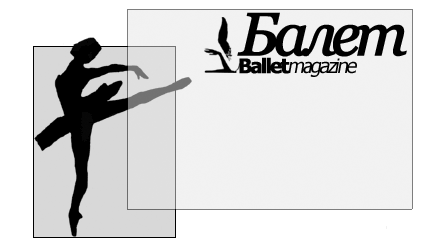 The authors of the magazine are famous ballet critics, historians, prominent ballet figures. The magazine publishes a lot of colour and black-and-white photos and photo sketches. 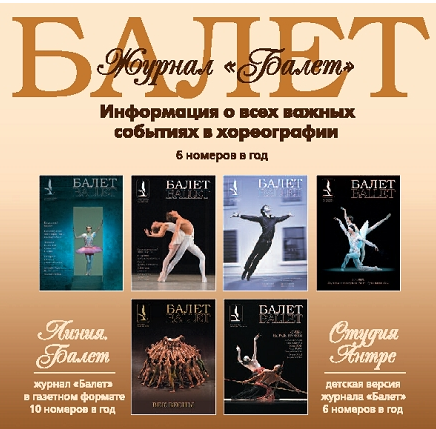 Though the titled of the magazine is “Ballet” and its main theme is classical ballet, on its pages you can find many articles dedicated to folk and character dances, to contemporary choreography. And readers of different tastes and preferences can get an interesting variety of information. The art of choreography in Russia is rich and diverse. But perhaps its biggest value is the school of classical dance. Because of that a lot of published materials are dedicated to traditions and today’s life of ballet schools in the country, their teachers and students, to the secret of birth of the great ballerinas – like Anna Pavlova and Galina Ulanova, Marina Semenova and Maya Plisetskaya, Natalia Makarova and Natalia Bessmertnova and today’s prima ballerinas of the Russian ballet. You will also learn who brought up Nijinsky and Vladimir Vasiliev, Rudolf Nureyev and Mikhail Baryshnikov, Vladimir Malakhov, Nikolai Tsiskaridze, Igor Zelensky, Andrian Fadeev, Dmitry Gudanov – yesterday and today principal dancers of the Russian ballet.